With a long and extensive background in the corporate world (mainly US companies) in leading positions I have managed to become a well rounded specialist with strong expertise in Customer Services, Management, Account Management, Direct Selling, Compliance (within Direct Selling) obtained in international, multicultural environments of the sectors Telecom, FMCG, Tourism Online-Marketing and Crowdfunding. 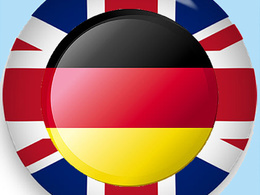 I am a native German with excellent English language skills. I am fully bilingual in the language pair DE/EN. With very strong work ethics and being a reliable, accurate and well-organized person, caring about each project in the same way, I am a passionate freelancer. Great work, fast and high quality! As always, Michaela is reliable, helpful and quick. Thanks so much! The work that Michaela does for our company is always of a very good standard and we appreciate her time and effort. Delivery prior to the agreed date. Will surely contact again. Thank you! Job completed by agreed deadline. Highly recommended.